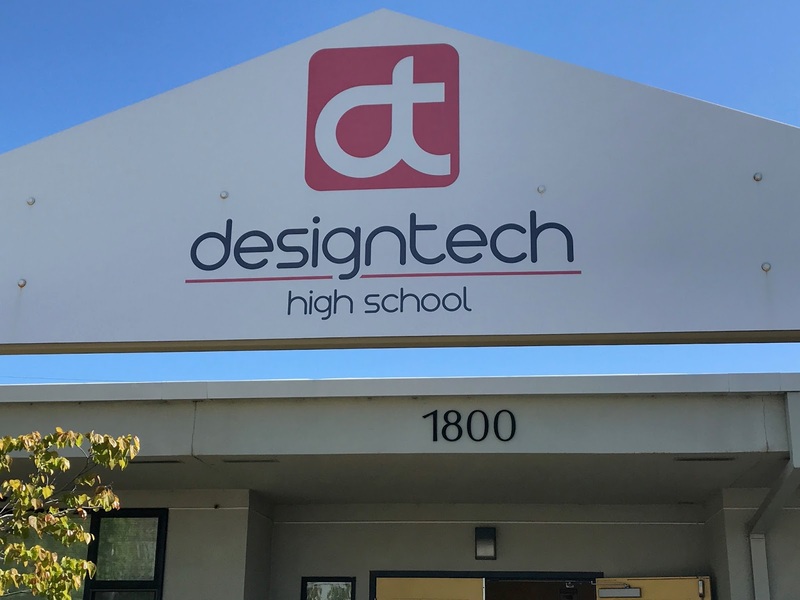 Today I had the pleasure of visiting Designtech High School with Lisa and Maurie. 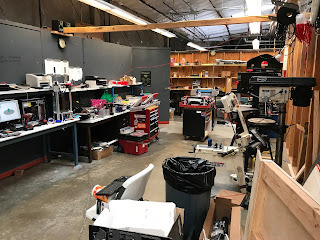 This school has been open about as long as us and are in an old warehouse space, moving into a brand new school in January. They have been lucky enough to have Oracle founder Larry Ellison build the school for them, the plans look amazing. The school creates a mix of academic, dispositional and project work to help students navigate through high school. They use design thinking from Stanford University as the main form of learning design. Julie, a passionate educator, who showed us around, believes that through the process of design, the students develop the skills to be successful in real life, especially the dispositional skills involved in creativity, problem solving, collaboration, risk taking, sharing, service and dealing with failure. Students learn in a cycle of comprehending, performance tasks and assessing their learning. below are some of the results of the performance tasks that demonstrate their growing skills and understandings. The space they have, they have used well, and engaged with the students and staff to make it work. 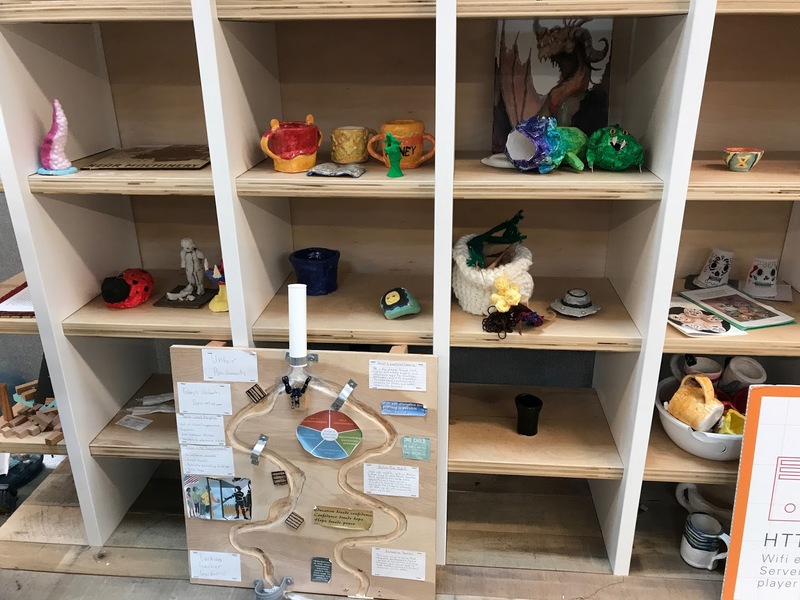 Specialist areas have been designed by students to meet their needs, all the while being mindful of how it will impact of others learning. 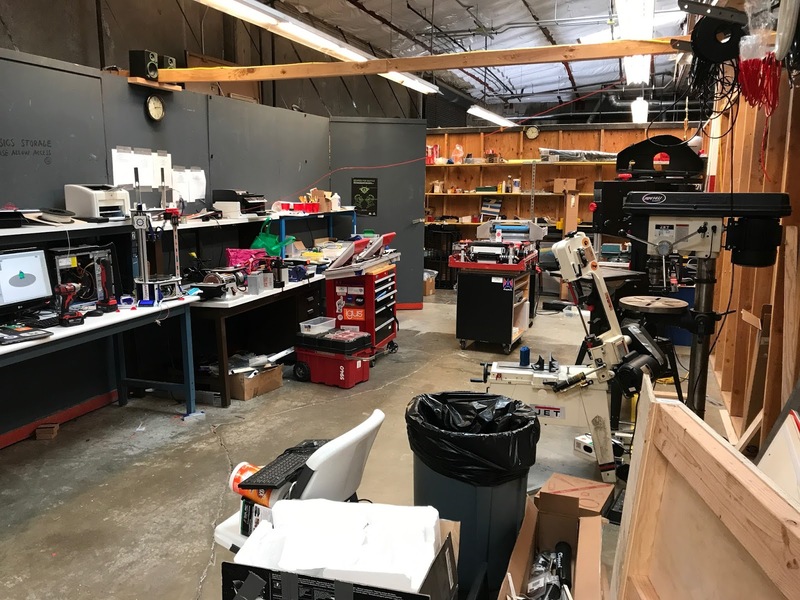 This image of their maker space is an example of an area that students created so they could be noisy without disrupting others learning. I learned that having time to talk with Lisa and Maurie is always inspirational and challenging. 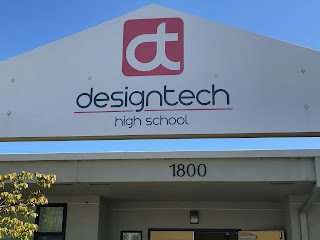 I learned that Hobsonville Point Secondary are leading the way with secondary education, the challenge they face, which is different to Designtech, is what Universities are looking for. I have learned that over here, places like Harvard, Stanford and Berkeley have alternative pathways, rather than just the SAT's, as a way of getting into higher education. The universities are aware of the drop out rates of those first year students as they arrive with them being totally stressed by assessment anxiety. They see those students who learn differently as being crucial to the ever changing landscape we live in. I learned that all students find it hard to plan and stick to a plan, this doesn't mean we will stop, it means we will keep looking for more and more effective ways for students to own their learning journey. I learned that going to a diner in San Francisco means you get massive meals, none of us finished them. Tomorrow we head to Monte Vista School, more on that tomorrow. Daniel, you’re so right that students find it hard to stick to a plan and I think it’s the same for us as teachers too sometimes. 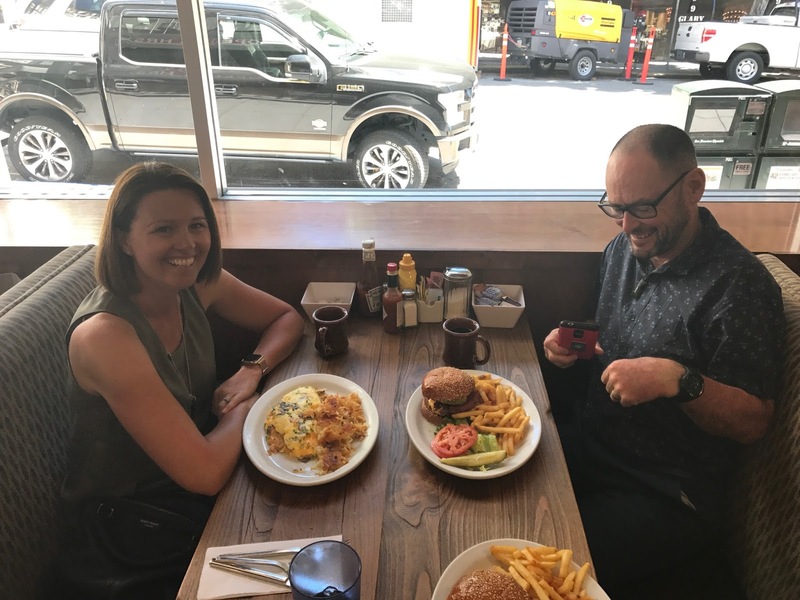 Often it’s only those first few weeks of the term that you really get to put your precious plans in place before you’re swept away by other ideas and challenges that come from colleagues and wider learning, like the learning you’re doing now. I guess what’s really important is that we give our students, and our teachers the autonomy and respect they deserve to really own their own learning journey, and make the decisions they know are best for them and their peers at the time, no matter what else is going on in the world. What an interesting noticing about sticking to a plan. This difficulty happens in the real world as well, especially where opportunities are looked for. I wonder if there is a process for planning and execution that can hold the purpose but allow revisiting - like design/science processes where you have to assess and go back if what you expected isn't working. But where the broad purpose is still in view. The most popular gambling game of more than 400 species. คาสิโนออนไลน์ It is a free online gaming site. We are the leader in providing internet gambling services. With over 9 years of experience in the service industry, it has become widely known among online risk groups across Asia. We have a great service. The technology used in the service is cutting edge. Both visual and audio systems. It is like that you are sitting in the casino real casino ever. We also have the best search of the most popular gambling games, more than 400 programs for gamers to gamble. You can choose to play each other according to the lifestyle of each tastes.